As the end of summer is nearly here, there are aspects that I'll miss as well as those that I definitely won't. I'll be sad that I can't just open the sliding door and send the the kids to play in the yard and I'll wonder how it is that I'm already packing away the kiddie pool when I swear we just got it out. On the other hand, the 90°+ days, the I'm bored so I'm going to pick on my sibling afternoons, and the hot, sticky feeling that covers your whole body the moment you step out the door... I'm okay to see those go. 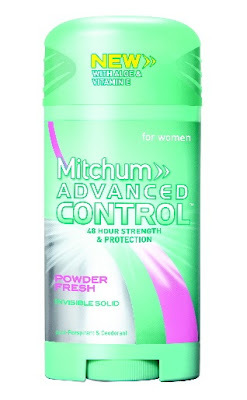 And when it comes to preventing sweat, no one knows it better than Mitchum and their new Mitchum Advanced Control stick/solid antiperspirant and deodorant. Let's face it, we've all been in those situations. The ones where we're hot, stressed, scared, bothered or nervous and where does it show? That's right, the armpits. 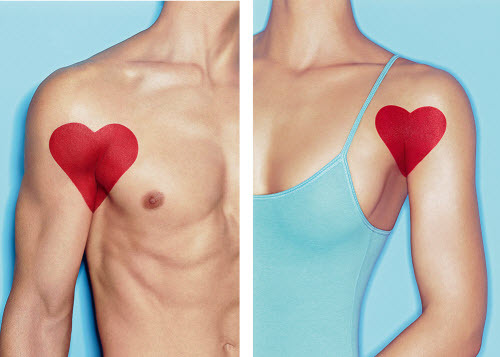 Our underarms have the ability to give us away no matter how much we try to hide the way we're feeling in a variety of circumstances. So, instead of ignoring things any longer, Mitchum is encouraging us to instead "Love Thy Pits" with up to 48 hours of protection for both men and women with their Advanced Control stick/solid antiperspirant and deodorant. It has the ability to provide maximum wetness and odor protection by using Fresh Defense technology - the fragrance actually bursts upon contact with perspiration and keeps everything fresh and dry! So what makes you nervous or stressed? Maybe common things like public speaking, spiders or small, enclosed spaces? Bridges? Cars? Tests and exams? I don't have any unusual phobias, although I'm fairly squeamish about bugs, particularly those that have a larger number of legs. When I see those little things moving, eeeew, they just make my skin crawl. Also, as I've gotten older the entire process of flying (everything from security to boarding to the actual flight) definitely makes my pulse race. And no one wants to be sitting next to someone on an airplane that is sweating over some turbulence and hasn't used an effective deodorant! 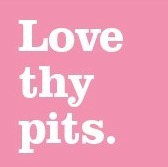 When it comes to everyday situations or the instances that we're feeling anxious or panicky, it's time to stop the embarrassment and Love Thy Pits! My husband is one of those people that forgets to put deodorant on before leaving the house some days, so as well as needing an extra stick of Mitchum in his desk, he needs the 48 hour protection that it provides... just in case! Fortunately, their great products are available at drugstores and mass-market retailers nationwide for an affordable $3.99. 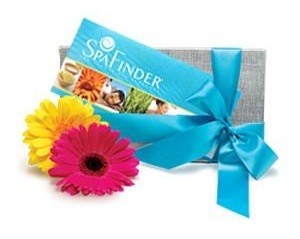 To enter to win: Tell me about your stressful, sticky situations - either one in particular or what type of situation makes you nervous and uncomfortable. 1 Extra Entry (per method) if you follow Mitchum on Twitter and/or Like them on Facebook. 2 Extra Entries (per follow method) if you follow me publicly with Google Friend Connect, subscribe to my RSS feed, subscribe to Thanks, Mail Carrier by email, become a fan on Facebook or add Thanks, Mail Carrier to your blogroll. Giveaway will end on September 22nd at 11:59pm CST. Do me the favor of leaving an email address or making absolutely sure it is visible in your profile, I have to have a way to contact the winner. The winner will be chosen by random.org and announced here as well as emailed and will have 48 hours to contact me or respond to notification or a new winner will be chosen. This giveaway is open to U.S. residents only. A big thank you to M80 for providing Mitchum deodorant and a $75 SpaFinder gift certificate for me as well as for one lucky giveaway winner. The opinions shared are my own and honest and if you really need to see more, click here to see how I roll. When I have to talk in-front of a group I definitely get stressed and sweaty! i get nervous when i have to go somewhere new and i don't know anyone. yikes! I'm nervous about meeting a bunch of people I don't know! If I have to speak to a group and I am not prepared - hate it! Public speaking gets me nervous! What stresses me and makes me uncomfortable is worrying about it my pits smell! It seems like the older I get, the harder it is to find the right deodorant. I've tried some of the "clinical" products and they don't seem to work when it's 100 degrees! win i get waxed i feel uncomfortable.. especially if it's a guy! I'm very anxious and uncomfortable if I'm going to be around a lot of people that I don't know well--especially if THEY all know one another! Like many people, public speaking makes me nervous! Last year, I had to speak in front of my sons class. I never spoke in front of a crowd before and was so nervous. Wouldn't want to do that again. I am a singer so many times I will get sweaty up on stage... it is good to have awesome deoderant! Talking to my neighbors can be stressful. I get anxious when I'm embarrassed about something; my kid acting up in a store, etc. I get nervous during budget cuts at work...hoping to still have a job. That's something that will make you sweat uncontrollably. I get nervous when I arrive at an event realizing I forgot to use antiperspirant. That's why I keep some in the car. I get nervous in big crowds. Speaking in front of a group of people makes me nervous. It's been so hot, it seems just stepping outside make a sweaty, sticky situation. I always keep an extra stick of Mitchut in my purse..it's the only brand that works for me. Job interviews make me nervous and sticky. Too much noise make me nervous. Job interviews STRESS ME OUT. Thankfully I am now employed at a job I love. I am hoping I do not have to go through interviews again any time soon. I'm an actress so I do a lot of auditions and perform in front of lots of people, but I get nervous when driving to a party where I don't know most of the people there, esp if I've never been to the location. I entered the Melissa & Doug giveaway. Anytime I hear the words "We need to talk," I sweat like crazy! Thanks for the opportunity! Like Thanks, Mail Carrier on FB. I entered the Purse To Go giveaway. I entered the Fiber One giveaway. I get lost so easily so when I have to go to a meeting somewhere new even w/directions I get lost. It is a sticky situation for me.